But far more interesting for me as a child was the fact that being a Sunday school teacher, Grandma never tried to preach to me. In the hardest moments of life she would only confess these words, which I have remembered from my childhood: “We serve a living God.” More was not needed. For Grandma preached with her life. This I know from personal experience, because after she had been interceding for me in prayer for more than 16 years, God saved me in the Pentecostal church in Yambol without anyone evangelizing or preaching to me. There, at the last pew by the back wall, God saved my eternal soul and my young life was transformed completely. Not through human words or sermons, but through the testimony of her life in which He was revealed as a living God. For the ones who have known Him as a living God, preach with their lives. 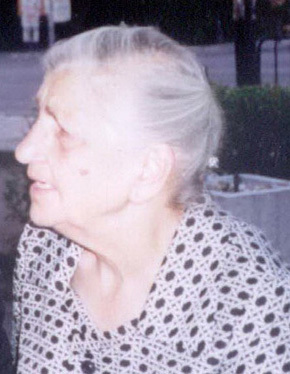 When several months later God called me to the ministry in the Church of God in Pravetz, I met people who knew the living God just like Grandma. Their personal experiences gave them the strength to survive the persecution of the communist regime and the sentence of the brutal life. These were presbyters, who preached the message of the crucified God regardless if it cost them their own lives, because they knew Him as the resurrected and living God. A mother, who gave her leukemia stricken son to the prayers of the church and the living God returned him to her forever healed. A family, that lost their young son, but continued to minister before God. People, who endured the persecution of the regime and the hardship of life, for whom their faithfulness to God needed no rational explanation. They testified with their lives that God is alive and their testimonies were the very reason hundreds of students in Pravetz received Christ as a personal Savior. Because, through the testimony of the lives of one generation, He reveals Himself as a living God to the next generation in a spiritual revival, which changes history itself. Thus preached the ancient. Abraham, Isaac and Jacob. And from their testimony Jesus Christ alone made that marvelous conclusion that no mortal theological mind could birth: “He is not God of the dead, but of the living” (Mark 12:27). Through my eleven years of formal theological education, I have not read a more powerful interpretation of the Biblical text. Such conclusion cannot be reached by any hermeneutical methodology, semantic exegesis or ontological paradigm. Such interpretation of the Word can only be given by the One who lives over death. Because He does not speak about Abraham, Isaac and Jacob in the chronological order of the historical times, but simultaneously, as One who is independent of time and as One who is life itself. For this reason, the apostles of the Early Church called Him “God of our fathers”, having the understanding that the faith in the living God is handed down from generation to generation. And not just faith, but the Gospel which finds its eternal power in the Resurrection of the Son, in order to become a living faith, which makes us live as He lives. Otherwise, how would we be different from any other religion that serves handmade idols and dead gods? Is it not by the fact that He cannot be found in the death of the mortals? For He is God alive forevermore.